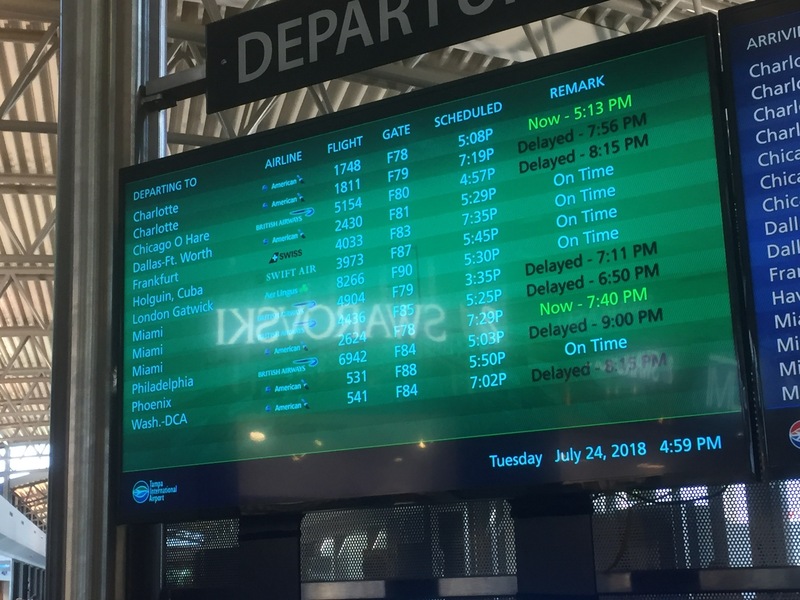 Thursday, July 28, 2018: Would have presented "Maximum Entropy Closure for Nonequilibrium Statistical Mechanics" at the New Trends in Nonequilibrium Statistical Mechanics: Classical and Quantum Systems Conference except American Airlines Delayed all flights to Miami for 6 hours while (unrelated) one of their planes in Philadelphia pissed all over the runway. It's a bad day for American Air. Tuesday, July 17, 2018: David M. Rogers presents "Fixing Nonlocality in the Primitive Model" at the TSRC Workshop on Ions in Biology. Friday, May 4, 2018: David M. Rogers presents "Jazz, Evolution, and Trillion Dollar Problems" at Florida ACS Meeting & Exhibition. Thursday, March, 22, 2018: David M. Rogers presents "Finite size effects in simulations of molecular Joule-Thomson flow" at the ACS Spring Meeting in New Orleans. March 5-9, 2018: David M. Rogers presents "Quantum Nonequilibrium Statistical Mechanics Meets the Measurement Problem" at the APS March Meeting in Los Angeles. Wednesday, Sept. 27, 2017: Family Science Night! Thursday, August 31, 2017: David M. Rogers presents "Demystifying Nonequilibrium Statistical Mechanics" at the U. Pittsburgh Chemistry Seminar Series. May 6, 2017: David M. Rogers presents "Quantum Thermodynamics by Repeated Measurement" at the Florida ACS Meeting & Exposition (FAME2017) and Guy W. Dayhoff II presents "Driving Forces in MD Simulations of Transition and `Free' Flows". March, 2017: David M. Rogers was honored with JCP's top reviewer award for 2016! Feb. 17, 2017: David M. Rogers presents "Demystifying Nonequilibrium Statistical Mechanics" at the USF Physics Colloquium. September 14, 2016: David M. Rogers presents "A moment generating function for flows in open quantum systems" at the International Conference for Spacetime, Matter, and Quantum Mechanics. July 12-16, 2016: David M. Rogers presents "A Molecular Approach to Dispersion Energy" at the TSRC Workshop on Ions in Solution: Biology, Energy, and Environment. July 7-8, 2016: David M. Rogers presents "The quantum mechanics of Jaynes" at the LANL Quantum Lunch. March 13-17, 2016: David M. Rogers presents "The Quantum Andersen Thermostat," at the 2016 ACS Spring Meeting. Friday, Feb. 12, 2016: David M. Rogers presents "Angle-free methods for boundary element problems on the sphere: The quadrature basis for spherical harmonics," at the USF Mathematics Department Analysis Lecture Series. Monday, Jan 11, 2016: USF Spring 2016 semester classes begin. Tuesday, December 15, 2015: David M. Rogers presents "Maximum Transition Entropy - A Causal, Canonical Model for Nonequilibrium Statistical Mechanics," at the 114th Statistical Mechanics Conference at Rutgers, New Brunswick New Jersey. Monday, September 14, 2015, Invited Presentation, "Understanding the origins of irreversibility: electrical driving and the second law.," Tulane Department of Chemistry. July 27-30, 2015 Travel to DOE Comp. Sci. Graduate Fellowship Program Review in Arlington, VA.
June, 2015: JCTC Publishes our article on "Dispersion- and Exchange-Corrected Density Functional Theory for Sodium Ion Hydration"
Wednesday, May 13, 2015: David M. Rogers presented "Spatiotemporal Concentration-Polarization Induced pH Changes at Ion-Selective Membranes." at the Chemical and Biological Defense Sci. & Tech. conference in St. Louis, MO. Friday, May 8, 2015: David M. Rogers presented "Where do Quanta Come From?" at the Florida ACS Meeting and Exhibition (FAME). April, 2015: Real-Space Quadrature paper was published as a cover article by JCP. Wednesday, Mar. 4, 2015: David M. Rogers presented "Thermodynamics of Maximum Transition Entropy for Quantum Assemblies." at the APS March Meeting in San Antonio, TX. Saturday, Nov. 22 2014: USF and neighboring universities are hosting a Scientific Computing Workshop for undergraduates. Follow the instructions in the flyer to sign up by Nov. 11! Thursday, Oct. 16: David M. Rogers presented "Real-space quadrature: A convenient, universal representation for multipole expansions." at the Southeast Regional Meeting of the ACS in Nashville, TN. Monday, Aug. 25 2014: USF Autumn Semester First Day of Classes - don't forget to sign up for Introduction to Scientific Computing! Monday, Aug. 18 2014: David M. Rogers presented an invited talk "pH Dynamics During Concentration Polarization," to the CM4 Mathematics for Mesoscopic Materials Modeling Group. Tuesday, July 8 2014: David M. Rogers presented "What’s Holding Up Multiscale modeling?" at the Telluride, CO workshop for Ions in Aqueous Solutions and Molecular Biology. Friday, May 9 2014: David M. Rogers presented "Jumping from atomistic to continuum simulation of electrochemical driving at interfaces," at the 2014 Florida FAME Conference. January 29th, 2014: David M. Rogers presented "Simulating at the molecular / continuum interface," at the USF Research Computing User's Group Forum . Thursday, April 11 2013: David M. Rogers presented "Solute Partitioning and Transport through Natural and Biomimetic Membranes," at the 2013 ACS National Meeting.